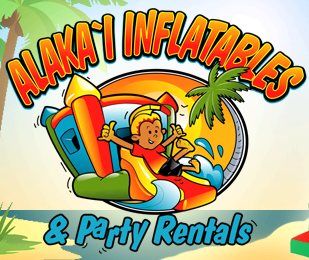 Thanks for visiting Alakaipartyrents.com; Oahu’s number one choice for inflatable bouncers, water slides and other great party rental resources. 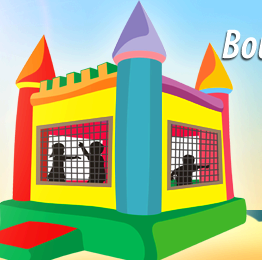 When you party with Alaka`i “You Bounce With the Best!” Here you’ll find great party rental selections from our large inventory of inflatables, concession equipment, even inflatable outdoor movie screens. Ever thought of having an “Outdoor Movie Night”? Turn your party into a night of memories with our complete outdoor movie screen rentals. Alaka’i Inflatables has the best selection of these exciting water slide rentals sure to be the center-piece attraction at your next event. Choose the right height, color, or theme from our large inventory of water slide rentals. All feature guest safety first with “No-Jump” netting at the top of the slide climb and large inflatable walls along the stairway. 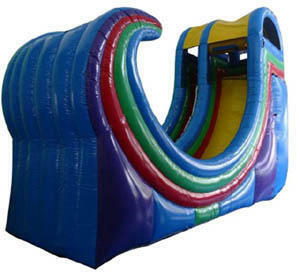 Choose from a large selection of water slides that will be perfect for your next event or party. Like the Rampage Water Slide shown here. This giant double sided slide is pure excitement! What’s a celebration without the fun food? Popcorn, hot dogs, slushies and all the great stuff your guests will love. You'll even have your very own attendant to make things run smoothly and service your guests. Need extra servings? No problem, we'll plan the extra servings based on your event’s expected attendance. Just give us a call. We can help you plan for everything you’ll need for a successful celebration. Just follow the link below and browse all the concession packages for the right one that fits your needs. If you are having an outdoor event or celebration that calls for a little extra shade, or the look and feel of the classic style party tent, then you have come to the right place. Add the shade and do it in style with our premium Party Tents. 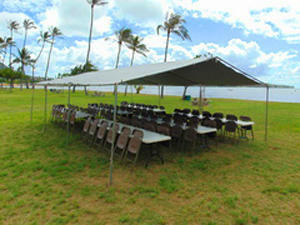 Make sure everyone has a seat at the table with our Tent table and chair party packages. Easy to setup and attractive, these tents will provide a great place for your guests to gather in comfort. Our Frame Tents are the perfect rental for outdoor weddings, graduation parties and other special outdoor events where a touch of elegance is required. This one of the most popular attractions at any event. It also makes a great fundraiser for schools, churches, and booster clubs. 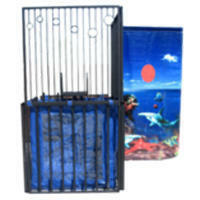 Just get your most notorious victims and seat them above the tank. Folks will line up to take a try at giving them a splash landing. Try Soft Serve Ice Cream at your party. 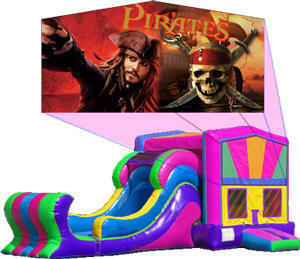 Alaka`i Party rentals has a complete line of Frozen Fun concession rentals. Like the Soft Serve Ice Cream machine shown here, or maybe Margaritas and Slushies! These are always crowd pleasers, young and old. 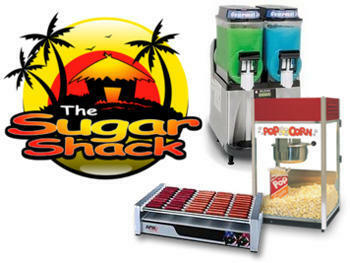 Choose from a large selection of great concession rentals here.